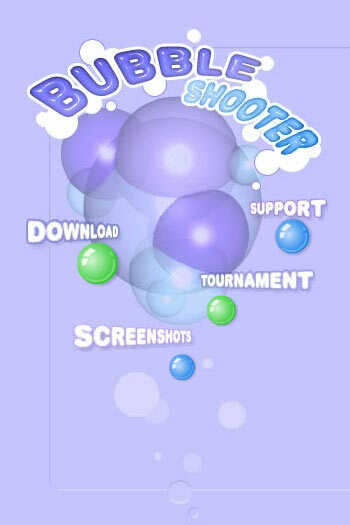 Bubble Shooter - See the Screenshots of this original amusing Arcade game. 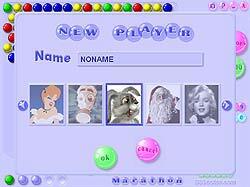 Free download shareware game and details. Deluxe Edition released! 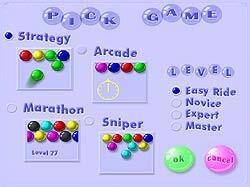 Shoot at the color bubbles, and blow them up to clear the board. This new arcade game possesses a great diversity of combinations and strategies, and becomes more and more popular by the day. Devoted players say it is the most addictive game ever. 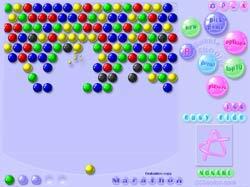 Bubble Shooter Deluxe is a new and much improved version of this popular game. It has greatly improved physics, graphics and speed. Now it includes four great game modes, Arcade - for people who like quick action, Strategy - the classic mode, Sniper - if you are a good shooter and Marathon - for the ones who are really perfect gamers. There are other improvements, like perfect physics, extraordinary 3D effects, skins, replay, and cool music - download and try this new release.